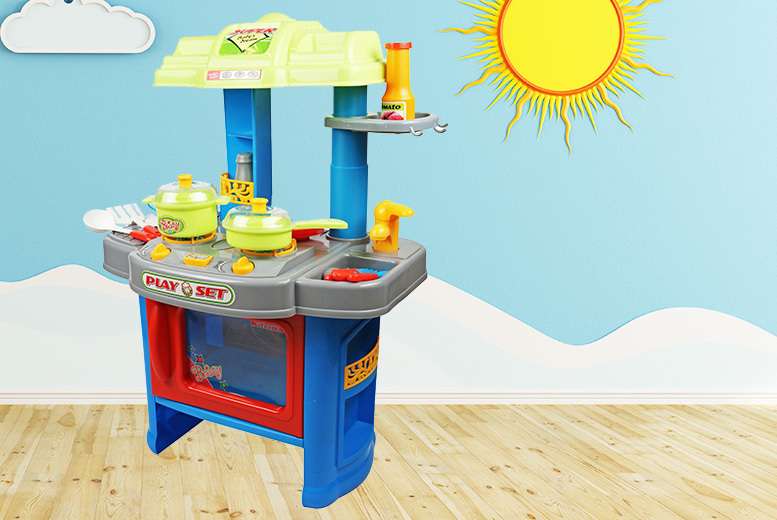 Get an electronic kitchen playset. Bring out the inner cook in your child and encourage kitchen roleplay! Features light-up hobs and cooking sounds. Comes with loads of kitchen accessories, including pots, pans, cutlery and more! Brightly coloured and easy to assemble. The perfect gift for pint-sized chefs aged 3 and up!